Each high strength tablet helps to : Improve hair, Skin & Nails, strengthen the immune system, defend against oxidative stress, maintain thyroid function and support reproduction & Fertility. 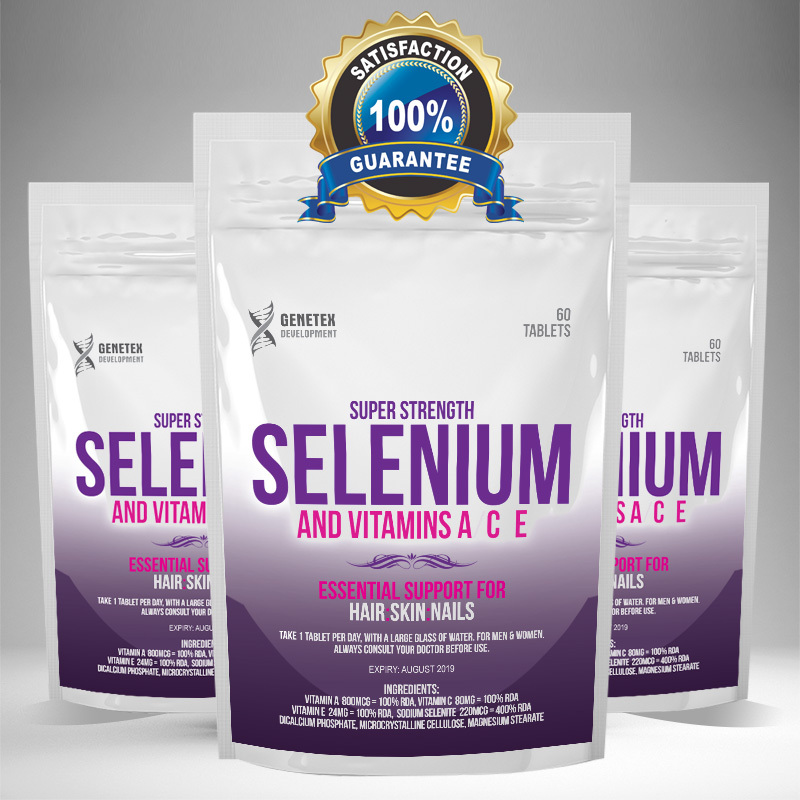 selenium is an essential trace mineral that is porpularly termed the ‘Miracle Mineral’. It is thought to offer powerful antioxidant properties that can protect the body’s cells from the oxidative stress caused by ‘free-radicals’. Selenium has also been shown to support a healthy immune system, fertility and thyroid function. It seems to work just fine. It is priced reasonably. I will buy more when I run out.